Solar Advantage is one of the best solar installers in Florida, and we are ready to help you achieve your ultimate goal of energy independence. When you produce your own energy, you lock in your cost for decades and insulate yourself from electrical rate hikes. Most clients are able to do this with no upfront costs and enjoy generous tax credits. Leaving the planet a better place for the next generation is a legacy we all share. When you achieve your energy independence, you make an invaluable contribution to the welfare of us all. As installers of the largest commercial solar power system in Hillsborough county and the choice of hundreds of homeowners throughout Florida, we bring the experience and quality your investment requires. 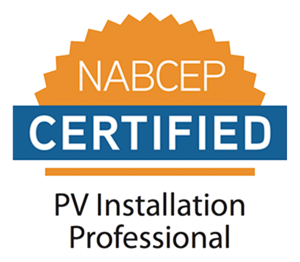 Solar Advantage is one of the few NABCEP certified installers in Florida, which means our technical staff has met the highest level of national certification possible. Our online ratings and almost a decade in the business demonstrate the fact that our team is top-notch and strives to provide Florida with the best customer care and the highest quality solar power installations. Let our advanced finance team and energy consultants work with you on how to get the most out of your newfound energy independence—and how to use incentives and tax breaks to pay off your investment. If you’re a homeowner in Florida, you have a lot to gain from solar. Most of our clients are able to save hundreds of dollars a year even as they pay off their systems with nothing down. Our solar energy systems are customized to fit your specific needs like battery back-ups, secure power supplies for power outages, solar carports and even ground mounted systems. Increase your property value and save on your bills at the same time. For most businesses, the expanded commercial tax incentives keeps the cash pay back period to 5 years or less. Or a financed system typically results in large cash inflows in the first few years, all the while paying less than your previous utility cost. Your investment in sustainability is likely to earn the respect of your clients as you enrich your double bottom line — profit and planet.